As an individual project, I was given the topic of food and to find pain points, then come up with a solution for the problem. 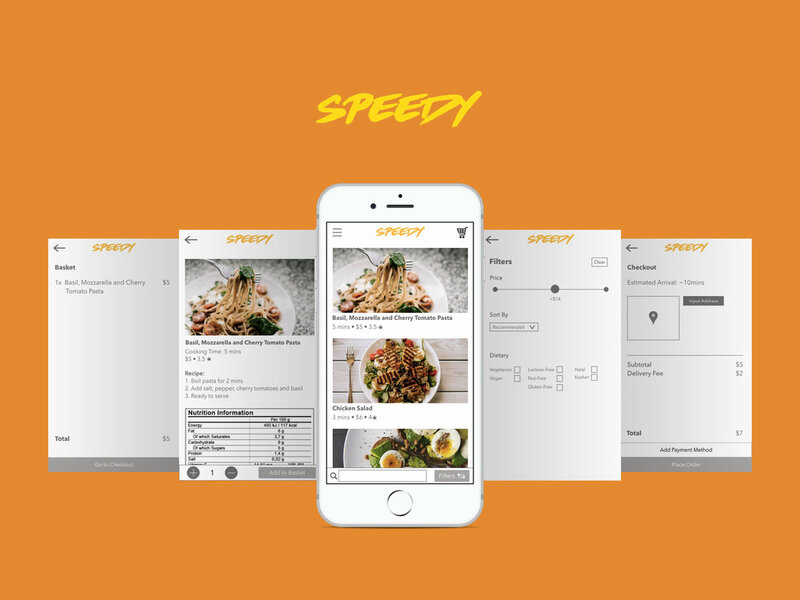 Speedy is a food ingredient delivery app, and your answer to cheaper, faster, zero-effort cooking. I conducted 9 interviews in order to understand people’s current interactions with food, their relationship with it and pain points. I was trying to get to the core of the problems; trying to find out why and what exactly their motivations were when doing certain things. I grouped the results from my interviews into 6 different categories of pain points and habits. 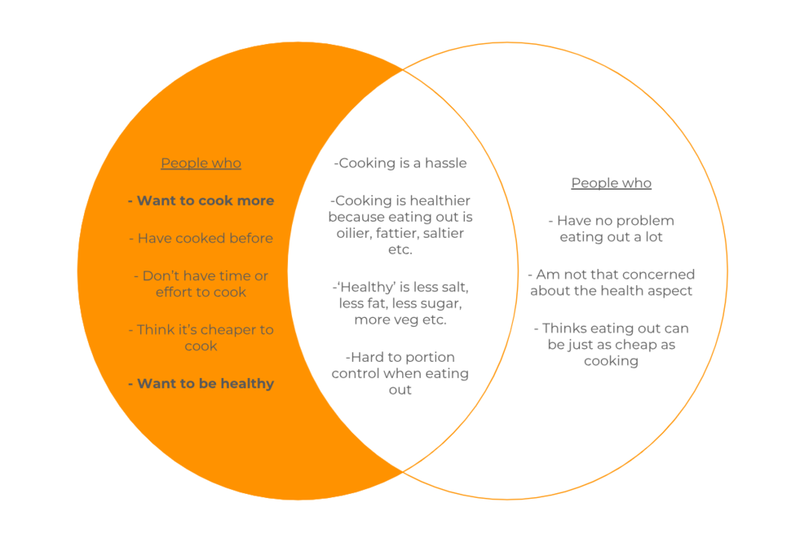 From this I found that there were two distinct groups of people: people who want to cook more and want to be healthy vs. people who have no problem eating out and are not concerned about the health aspect. I then chose to focus on the former group, since this group of people were the larger majority. People who eat out a lot and don’t have much free time think cooking is a hassle. They need a way to cook efficiently and therefore more frequently, because they think it is healthier and cheaper. I believe that by creating an app and service that eliminates the time and hassle of food preparation for users, I will be able to encourage people to cook more frequently, and eat healthier. The wireframes show the user flow of my targeted user from left to right (to select a meal item and order it). I took inspiration from existing food apps such as UberEats and Yelp because my app essentially carried out the same functions as any other delivery app, except the delivery items were different. I sketched out storyboards in order to show in what situations users may be inclined to use an app like Speedy. Immediate delivery of food ingredient packages that are one-pot/quick, pre-chopped, amounts to less than eating out or a normal food delivery, and is healthy. I learned that asking ‘why’ is the most important part of user interviews. Without asking why, you will never be able to understand what someone’s true motivations are.